Monosodium Glutamate (MSG) is a "flavor enhancer" used in many foods and is made of sodium salt of glutamic acid, a 'non-essential' amino acids. It activates the tastebuds to make them more receptive to flavor and make things taste better. It makes processed meats and frozen dinners taste fresher and smell better, salad dressings more tasty, and canned foods less tinny. MSG does more than enhance flavor though. It is a major health concern because it contains glutamate which is the salt form of "Free Glutamic Acid" a toxin that is associated with many health problems. MSG not only stimulates smell, taste and hunger, it produces a reaction in nerve cells. MSG is an excitotoxin, a substance that overexcites neurons to the point of cell damage and eventually cell death. According to animal studies, MSG also creates a lesion in the hypothalamus that correlates with abnormal development, including obesity, short stature and sexual reproduction problems. Overstimulated, nerve cells can produce an allergic response. In particular, if MSG is eaten on an empty stomach by MSG-sensitive individuals, or foods containing MSG are eaten in high doses it may lead to many reactions by the body ranging from headaches, numbness, dizziness, burning sensations in the neck and chest, tingling nausea, palpitations, elevated blood pressure, difficulty breathing, panic attacks, sleepiness, depression, confusion, cognitive disorder, and food cravings. Plus it dramatically stimulates appetite and causes binging. Researches suggest that monosodium glutamate causes obesity, making unhealthy snacks even unhealthier than you may have suspected. Even the journal Science had published a report on MSG and its role calling it the Chinese restaurant syndrome. MSG was first commercialized in Japan in 1909 as "Aji-no-moto" and widely abused in Asian foods but now it is now added to almost all processed foods around the world. 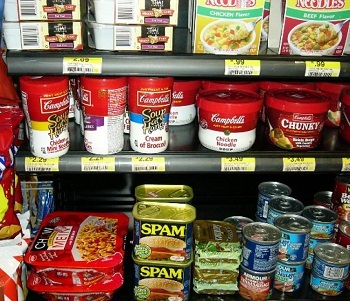 National and International government agencies including FDA allow many companies to hide it in seemingly benign ingredients without including it on the label. 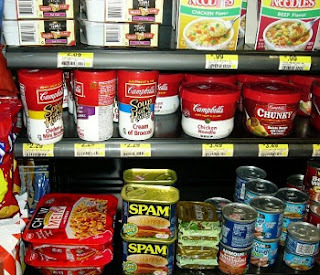 MSG is one of the worst food additives on the market and is used in canned soups, crackers, meats, salad dressings, frozen dinners and much more. It’s found in your local supermarket and restaurants, in your child’s school cafeteria and, amazingly, even in baby food and infant formula. Unless it expressly says it's MSG-free, assume everything processed or restaurant foods contain it in some form. MSG's hidden names that may be marked on the food lables are ; Gelatin, Calcium Caseinate, Monosodium Glutamate, Hydrolized Vegetable Protein, Textured Protein, Monopotassium Glutamate, Hydrolized Plant Protein, Yeast Extract, Glutamate, Autolyzed Plant Protein, Yeast Food or Nutrient, Glutamic Acid, Sodium Caseinate and Autolyzed Yeast. Some food laced with MSG are Flavoring Seasonings (Most assume this means salt pepper or spices & herbs which it sometimes is), Sausage products, Ranch dressing, Parmesan items, Gravy / Dipping Sauses, Fries with any kind of seasoning on them, Flavored salty snack chips, Soups, Cornstarch, Seasoning salt, Bouillon cubes, Ceasar salad, Fish Sauce or Extract, Soy Sauce, Cold Cuts, Hot dogs including soy-based, mostly all fast foods and anything that is processed. 1. Go to restaurants that do not use MSG. 3. Natural Supplement L-theanine directly provides neuroprotection against glutamate neurotoxicity through blockade of the N-methyl-d-aspartate (NMDA), and a-amino-3-hydroxy-5-methyl-4-isoxazolepropionic acid (AMPA) receptors. To know more about health benefits of L-theanine, please click here.